Pet Banks and Wildcat Banks: Andrew Jackson was the 7th American President who served in office from March 4, 1829 to March 4, 1837. One of the important events during his presidency was the emergence of the Pet Banks that were favored by Andrew Jackson. Summary and definition: What were the Pet Banks? The "Pet Banks" was a derogatory term used by the opponents of Andrew Jackson to describe state banks selected to receive large deposits of government money. In 1833 the Second Bank of the United States had about $9 million belonging to the government. President Jackson directed that this money should used to pay the government's expenses, and that no more government money should be deposited in the bank. All future deposits were to made into certain state banks - those that were controlled by Jackson's political friends and referred to as the 'Pet Banks'. Andrew Jackson blamed the Panic of 1819 on the mismanagement of the Second Bank of the United States. The Panic of 1819 had had a devastating effect on the nation resulting in foreclosures, bankruptcies, the loss of homes and livelihoods, high unemployment, rampant inflation, the inability to obtain credit, plummeting land values and over crowded debtors prisons. The Panic of 1819 had fostered a profound distrust of banks, bankers and paper money in the minds of many Americans. Andrew Jackson swore to bring about the destruction of the Second Bank of the United States and started the Bank War. The Second Bank of the United States, the National Bank was responsible for only 20% of the currency supply - the state banks accounted for the rest. The states were free to charter however many intrastate banks they wished. The Second Bank was the envy of state banks because, although it was a commercial enterprise, it received all of the government’s deposits including the foreign customs duties. The Second Bank could make therefore make more loans than state banks and received lucrative interest payments in return. It was the only bank permitted to have offices across the nation and their Bank notes were the only ones accepted for payment of federal taxes. The state banks were at a massive disadvantage but this changed with Andrew Jackson's Bank War. The charter for the Second Bank of the United States was signed into law by President James Madison on April 10, 1816. When the 20 year charter expired, Congress was required to approve or deny renewal of its charter. A bill was passed by Congress re-chartering the bank but President Jackson vetoed the bill on July 10, 1832 initiating the Bank War. Jackson believed that the Second Bank benefited the wealthy at the expense of the majority of the American population and that it had become too powerful. The U. S. government owned 20% of its capital but private investors owned the rest. It was a privately held banking corporation and 40 congressmen held stock in the bank - most of them were Jackson's political opponents. The Bank War had been one of the issues of the 1832 presidential election. Andrew Jackson received the approval of the people and was re-elected by a large majority over Henry Clay. The President took his majority as confirmation that the American people believed in his war against the national banking system. At the beginning of his second term in office the Second Bank of the United States had about $9 million belonging to the government. President Jackson directed that this money should be drawn out as required, to pay the government's expenses, and that no more government money should be deposited in the Second Bank of the United States. All future deposits were to made in certain state banks - those that were controlled by Jackson's political friends. His political opponents referred to these as Jackson's 'Pet Banks'. Roger Taney, the Attorney General, withdrew government deposits from the Second Bank, and deposited them into seven State banks, known as the "Pet banks." By the end of 1833 the number of Pet Banks had increased to twenty-three. The Deposit and Distribution Act of 1836 was passed placing federal revenues in various banks across the nation. The twenty-three Pet Banks were state banks that were chosen by Jackson to be deposited with US Treasury funds. However, the closure of the Second Bank led to the Free Banking Era. This period, referred to as the Free Banking Era, lasted from 1837-1864. States regained their power in the banking industry and each state was allowed to issue charters for new banks. It became much easier to open a financial institution and by 1837 there were ninety-nine Banks. There was a lack of banking regulations. Some of these new banks became known as the "Wildcat Banks". A 'wildcat' was slang term meaning a rash speculator. The Wildcat Banks were often small banks that issued more notes than they could possibly hope to redeem. The Wildcat Banks were not backed by specie (gold and silver) they distributed practically worthless currency backed by questionable security, such as mortgages and bonds. Many of the Wildcat Banks operated in the frontier towns in the West where many land speculators borrowed as much money as they could. The excessive loan practices of the Wildcat Banks caused many more banknotes to be in circulation than there were deposits to cover them. Some of the Pet Banks, tempted by large government deposits, also started to lend money to land speculators more freely. The unsubstantiated loans to land speculators led to President Jackson issuing the Specie Circular. He knew this was lead to yet another financial disaster unless he took action. In the Specie Circular President Jackson forbade the land officers to receive anything except gold and silver and certain certificates in payment for the public lands. 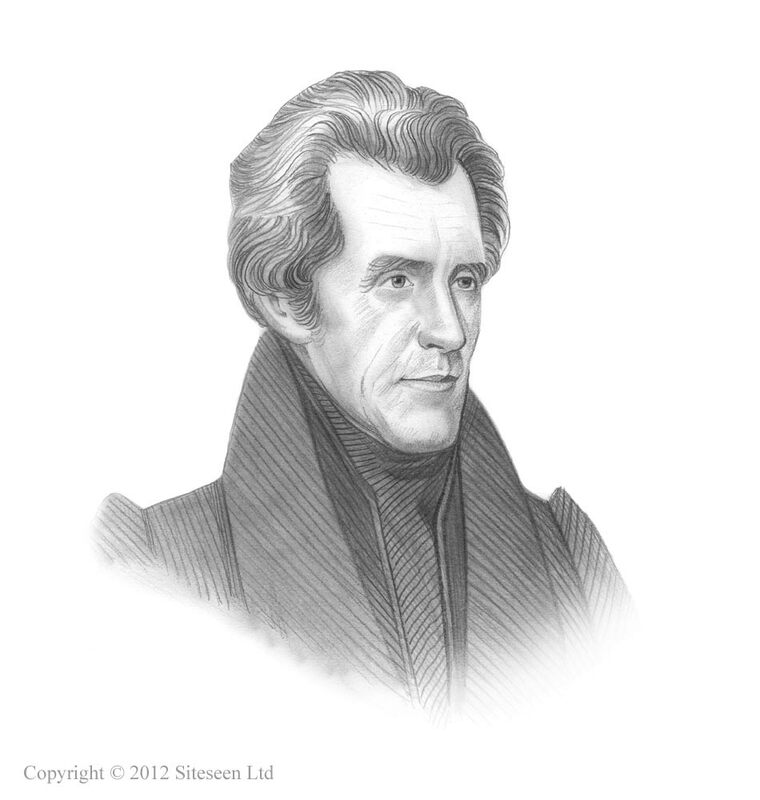 The Jackson presidency ended on March 4, 1837. The open lending policies contributed to the financial Panic of 1837, which led to a lengthy period of economic issues which had to be dealt with by the next president, Martin Van Buren.